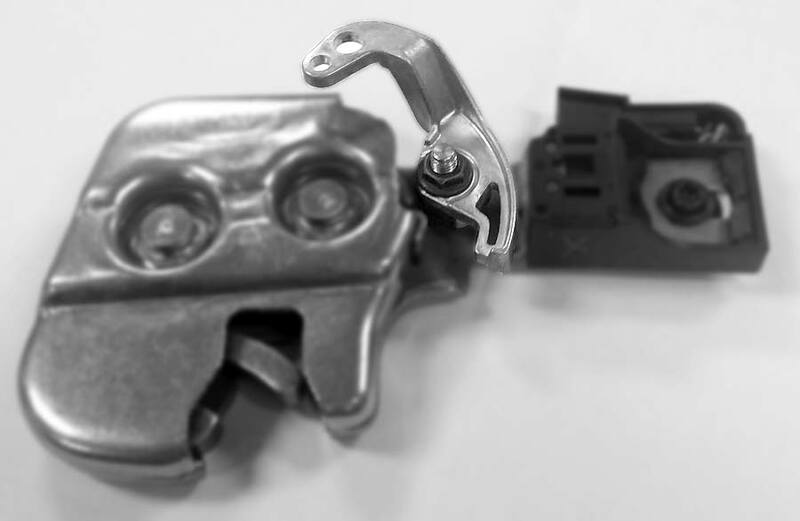 This die cast support arm bracket component is used in a Keiper Latch assembly, which is manufactured for end use in the second row seats of SUVs. The aluminum A380 lever is used to release the latch and interact with the micro switch to warn the driver if the seat is not latched to the striker. Dimensions1.58" x 0.99" x 0.20"